10% discount will be applied to your order after sharing your purchase via Facebook, when prompted during the checkout process. Free delivery will be applied to your order after sharing your purchase via Twitter, when prompted during the checkout process. 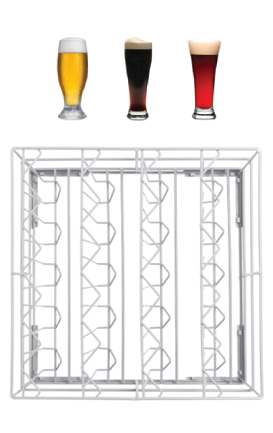 The open glass basket is suitable for glasses that measure up to 150mm (15cm) in height, such as standard pint glasses, tumbler glasses, half pint glasses and hi-ball glasses. 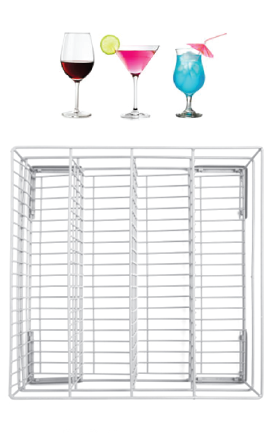 The glass washing baskets come in a range of different styles and sizes which have been designed with each individual style in mind. 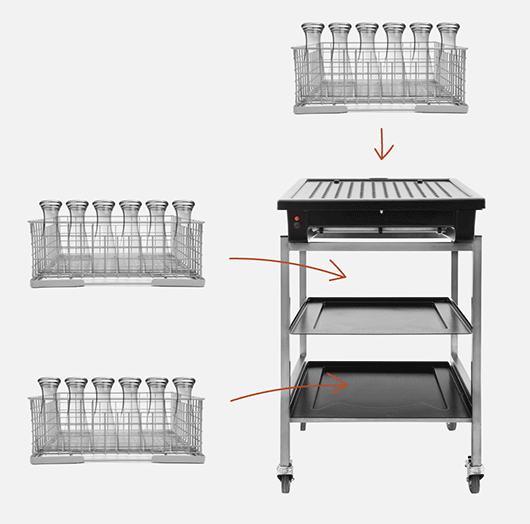 The baskets are available in 400mm, 450mm and 500mm sizes, and have a range of styles and function to suit. The baskets can be stored securely and neatly into one of the Airack stands. 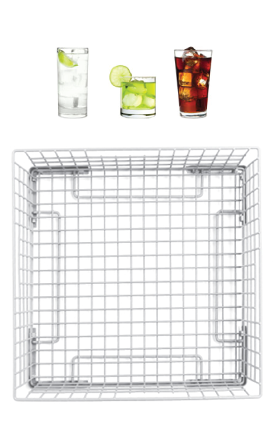 Storing baskets in this way ensures a safe, hygienic and tidy storage solution in the bar or kitchen. Each size and style of basket, comes with a premium 'Talisman' coating and have plastic corner clips fitted, making them more durable to general wear and tear. The Baskets are available in three different sizes. 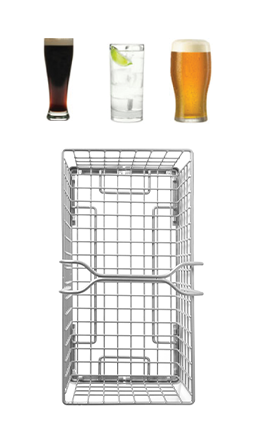 A 40 size basket is suitable for a 40 size Airack and a glass washer using a 40cm basket. A 45 size basket is suitable for a 45 size Airack and a glass washer using a 45cm basket. A 50 size basket is suitable for a 50 size Airack and a glass washer using a 50cm basket. * 10% discount will be applied to your order after sharing your purchase via Facebook, when prompted during the checkout process. ** Free delivery will be applied to your order after sharing your purchase via Twitter, when prompted during the checkout process.